Whimsical prints, bright colors and animal details define the Spring Summer 2017 collection designed by Alessandro Michele. 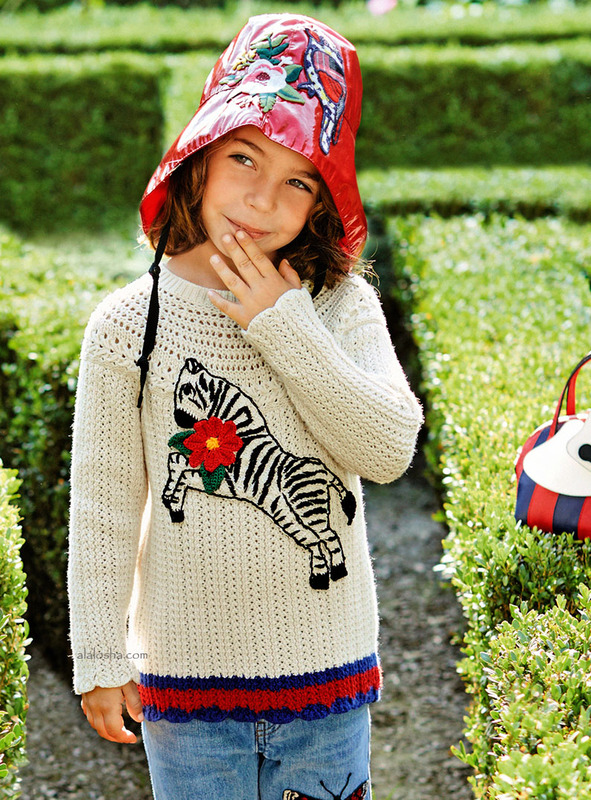 Girls ivory sweater by Gucci, with a fun, knitted appliqué of a zebra and a red flower on the front. Made in a chunky cotton knit, it has a deep pattern around the neckline and the designer's signature blue and red stripes around the scalloped hemline. 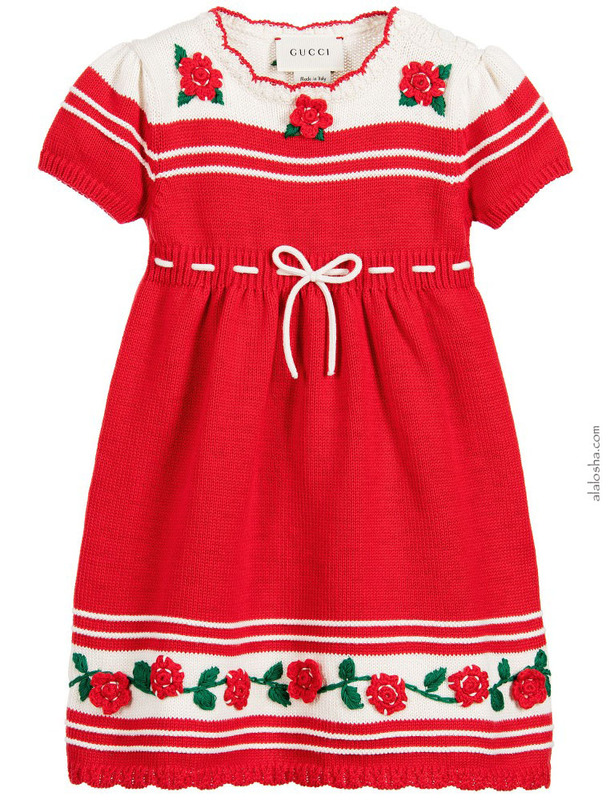 Baby girls adorable red and ivory dress by Gucci. Made in a soft amd fine cotton knit with knitted flower appliqués. 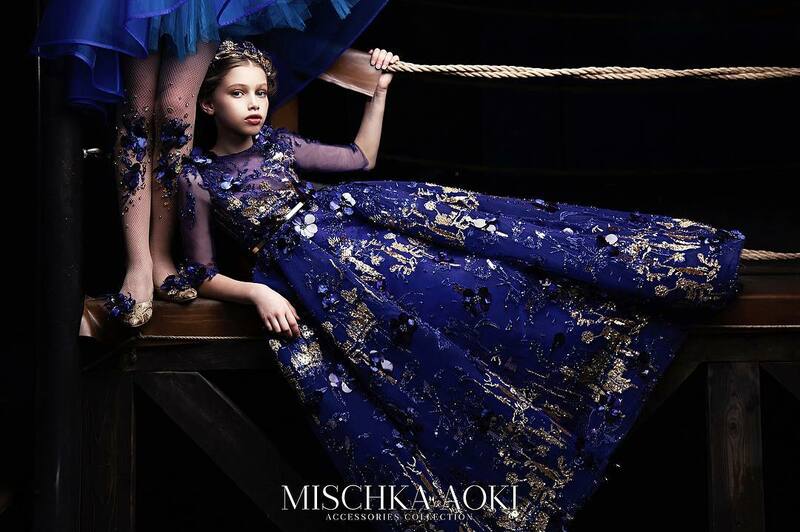 It has a stretchy ribbed waist with a drawstring detail, which can be pulled in to fit. It fastens with buttons on the shoulder , with pretty scalloped edging on the neck and hem. Girls green dress by Gucci, with embroidered spaniel dogs appliquéd on the chest. 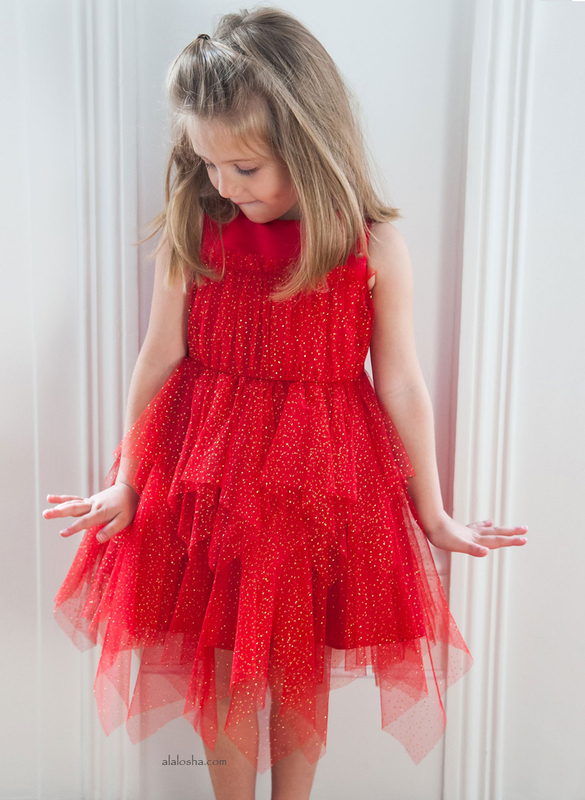 The top is made with floral patterned broidery anglaise and the skirt is made with dotty textured tulle over a silky viscose lining. The skirt has textured silk ruffles with frayed edges and has a black grosgrain bow decorated with a sparkling gem flower. The dress fastens with a silver metallic zip at the back.